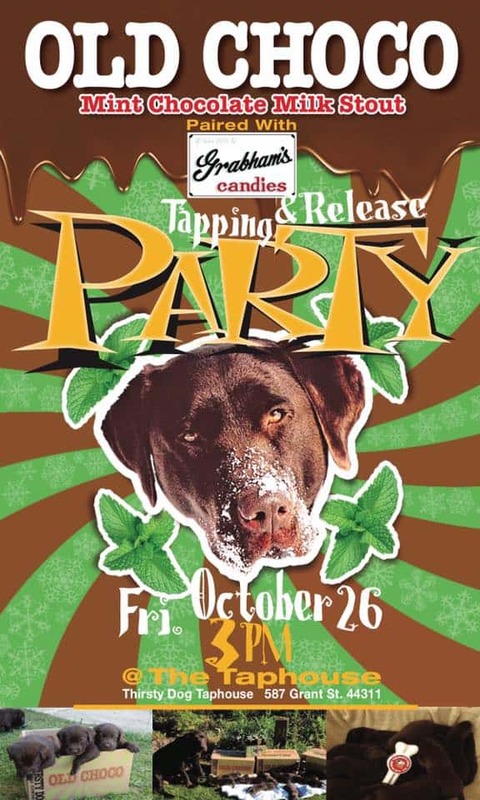 Tapping & Release of Old Choco at the Taphouse | Thirsty Dog Brewing Co.
Join us at the Taphouse for the tapping & release of Old Choco on October 26th at 3:00 pm. The Mint Chocolate Milk Stout will be paired with Grabham’s Homemade Chocolates. *Release Special* $4 pints with a complimentary chocolate with each purchase.